Lush Fab Glam Inspired Lifestyle For The Modern Woman: Girl Talk: Rediscovering Yourself After A Breakup. Girl Talk: Rediscovering Yourself After A Breakup. The end of a relationship can take an emotional toll on us as women and it can be quite difficult to get out of the rut. 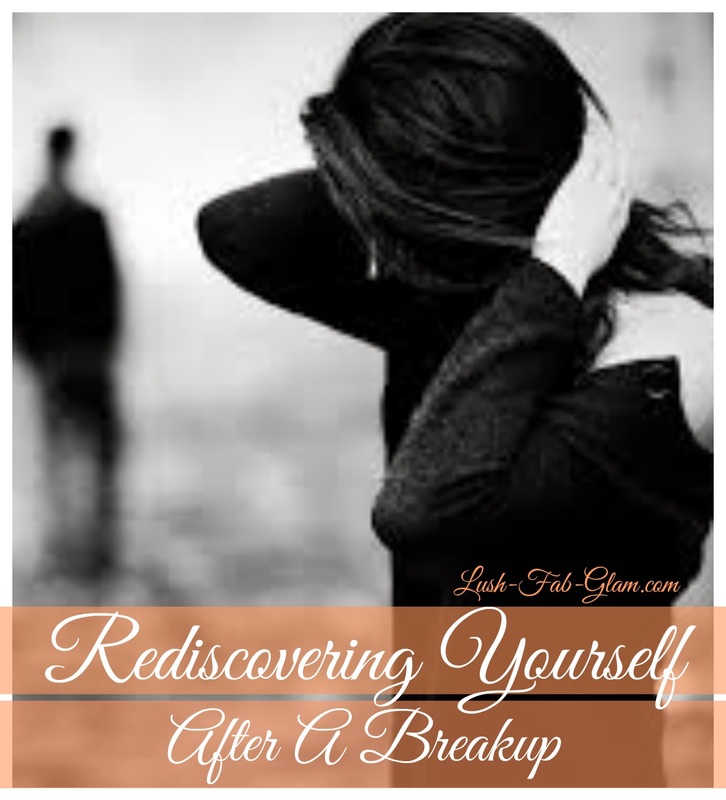 A breakup can affect your self-esteem and leave you in a tail-spin, wondering 'where do I go from here'? Getting over a failed relationship requires a period of soul searching and time for your heart to heal. Focusing on the good things in your life and maintaining positive thoughts about your future is extremely important during this fragile period. Having a shoulder to cry on or someone who cares to listen and encourage you, whether it's a close friend or family member certainly helps. After being in a relationship where you devoted so much of your time and attention to someone else. Taking the time to pamper yourself is a necessary luxury. Book a day of rest and relaxation at a local spa or go on a weekend spa retreat. Let someone else cater to your every need and devote their attention to you for a change. While you get rid of the tension and stress built up in your muscles as a result of the painful emotions you experience during your breakup. As humans we are always changing, our experiences and how we react to them have a great impact on our personality and how we view the world. Giving yourself a fabulous makeover is a great way to gain a new outlook on life and get ready for a fresh start. Plan a trip to your local hair salons and try out a new hair color, hairstyle or haircut with the advice of a professional hair stylist. You will be surprised by the life changing results a makeover can bring, especially when you get a shorter, chic hair cut or dye your hair in a vivacious new color. Rediscovering the things that you love doing, what makes you happy and what you would like to improve about yourself is a must after a breakup. Take time to do some soul searching, examine your thoughts and express your emotions rather than keeping them bottled up inside. Clean up the sentimental, emotional clutter by getting rid of the things that bring back those painful memories. Whether it's the sweatshirt he left or the mug only he used or photos of your time together. Replace them with photos of yourself, your family and friends before your relationship. Call up old friends, even the ones that you may have lost touch with when you got involved and try to recapture a bit of your pre-relationship, hopeful and vibrant self. Spend time exploring the outdoors, visit local sites, restaurants etc. that you always wanted to visit or try but never had the time to until now. Take up a hobby like photography, dancing, cooking classes etc. where you meet in a group setting. Not only will it keep you on your feet and keep your mind off that certain someone but being out in public places and discovering new things will improve your mood and increase your chances of meeting someone new. If you're not quite ready to get back in the dating game, then at the very least it will give you a chance to scope out the scene and notice all the handsome, single men still out there looking for their Mrs. Right. Remember that trip you've always wanted to go on? After a breakup is the perfect time to do so. Whether it's backpacking in Europe, a wild safari adventure in the African plains, immersing yourself in the culture, sounds and food of an exotic location like Bali, the Caribbean or the Maldives. Or an all-inclusive trip to Cabo, Cancun or Las Vegas. 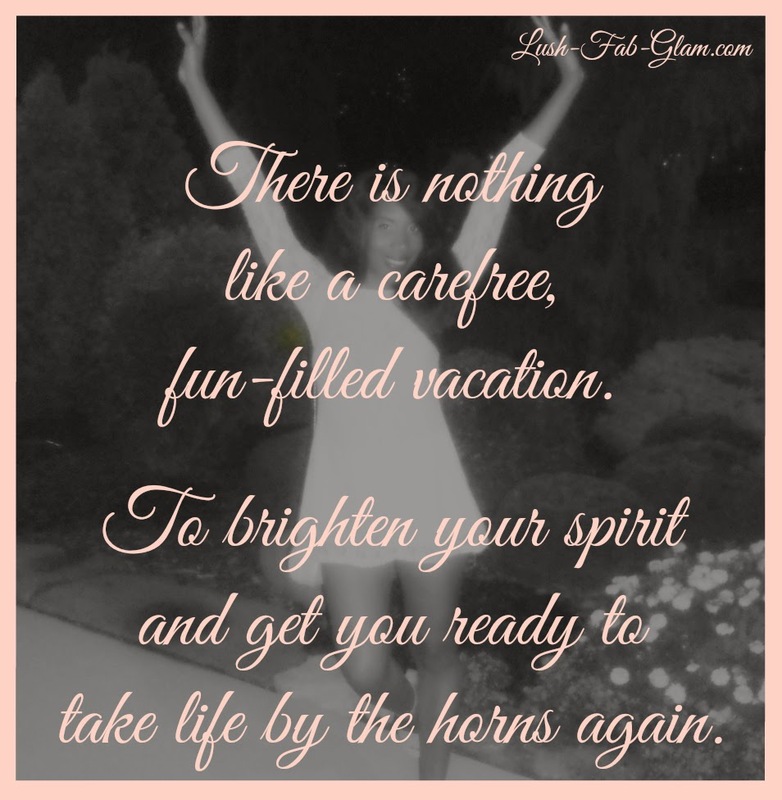 There is nothing like a carefree, fun-filled vacation with your BFFs to brighten your spirit and get you ready to take life by the horns again. How did you recover or help a friend recover from a difficult breakup? Share your tips with us by leaving a comment below. This post is brought you by our sponsors all opinions are mine.